Charlton Boss Lee Bowyer is still excited after the loan move of Arsenal youngster Krystian Bielik to the league one side. Bielik completed a move to Charlton on Thursday and is their highest profile signing this season. Bowyer speaking to reporters admitted his delight in signing the midfielder and was insistent that Bielik physical attribute suit the league perfectly. He also admitted that his versaitility makes him a key asset as he plans to play the Serbian in a variety of positions. Bielik has had several loan stints since his move to Arsenal in 2016 playing for Birmingham City and Walsall. This experience according to Bowyer means the player can easily adapt to the demands of the lower echelons of English football. Charlton head of recruitment Steve Gallen also told reporters that the club had to go through a lot to convince both Arsenal and the player to get his services. Arsenal fans would be happy that the youngster is valued by his new club and hope that the player can regain his form after an injury-filled campaign at Walsall. 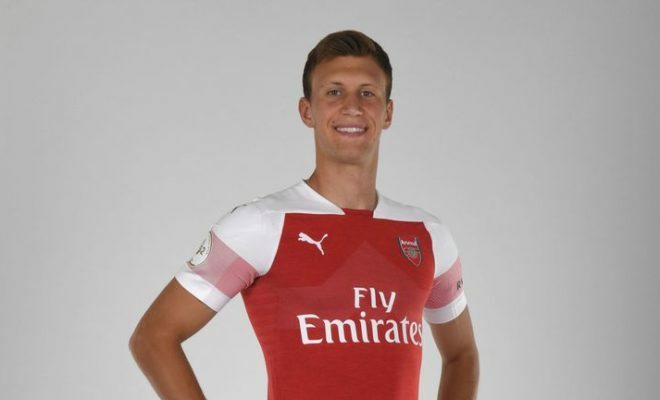 Unai Emery has also revealed that he would give young players opportunities to impress and Bielik will have to impress at Charlton this season.